Hello all! 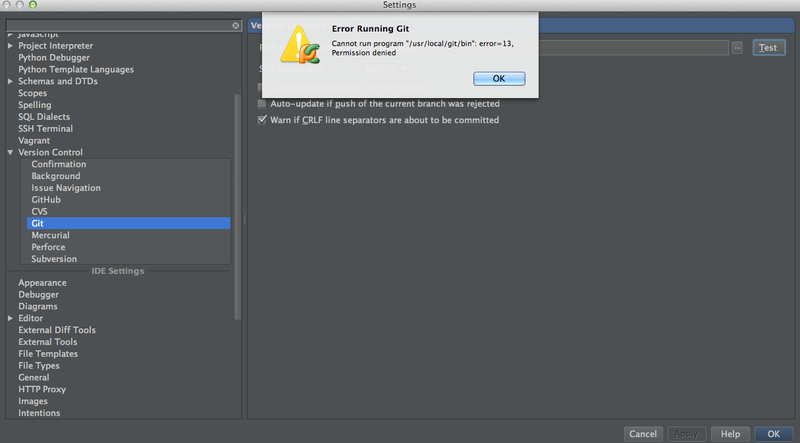 I have a problem: I want to set up git on my new MacBook Pro, using PyCharm. Please, help me! How to get it to work? On Ubuntu Linux this operation was automated, so I didn't have problems with it.